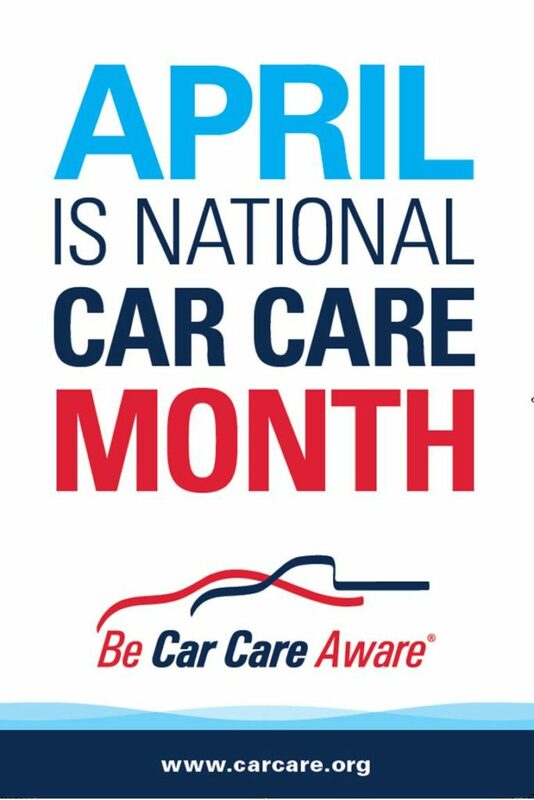 Did you know that April is National Car Care Month? It’s also an awesome opportunity for some tips from Desert Car Care McQueen about caring for your vehicle. We believe the number one thing car owners can do to avoid huge, expensive repair bills, is to keep up with routine maintenance on their vehicles. This means getting the oil changed at the mileage recommended in your owner’s manual, rotating tires, topping off fluids, inspecting belts and hoses for wear and tear, and making sure air, oil and fuel filters are clean and doing their job. Many manufacturer warranties are only valid if you follow the recommended maintenance schedule listed in your vehicle’s handbook. Scheduling these visits mean routine maintenance – tire rotations, fluid top-offs, worn filters and belts – gets taken care of before something breaks and costs a lot more money. Going in for scheduled maintenance with your trusted mechanic also means your garage technicians will be taking a close look at your vehicle to see if there are any early warnings of bigger problems. As part of National Car Care Month, the non-profit Car Care Council shares a huge number of articles with detailed examples of how to take the best care of car on its web site and on its social media channels. It’s a great resource for vehicle owners, and it’s a non-profit so you don’t have to worry about a hidden agenda to get you to spend unnecessary money on your vehicle. Desert Car Care McQueen also offers plenty of car care tips through our social media. You can follow us on Facebook, Twitter, YouTube and of course our BLOG posts here. You can also read reviews about us on several different sites, including SureCritic, Google and Angie’s List.